When someone you care about goes to prison or jail one of the hardest things to deal with is no longer seeing them and being able to communicate like before. There are ways you can maintain a healthy relationship with someone incarcerated, our site gives you all the answers to those frequently asked questions about inmates. Our users can get the visiting hours and applications for any institution, and can learn how to send letters, books, photos, magazines and money to inmates as well. If you can't find an answer to your question you can post it on the facilities page and our online community and staff will answer it. 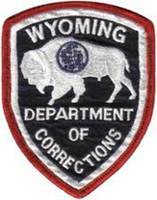 We manage information on thousands of correctional facilities across the United States, and pride ourselves on the accuracy of our visiting hours, however because a facility can go on lockdown and cancel visitation, we ask that all potential visitors contact the institution prior to visiting. Also, if you see any errors or know of any other important information about a facility please help us and others out by posting it on our site.